With live productions growing bigger and more complex, engineers need systems that can handle a wider variety of gigs and installations. Avid VENUE | S6L offers a fully modular and newly expanded line that enables you to design the perfect system and scale it up or down to meet any size production, space, or budget requirement — with the same award-winning workflows and sound quality. Join Dale Pro Audio and Avid in Dale Pro Audio’s Jamaica, Queens location to learn more about the all-new VENUE | S6L Unified Platform. 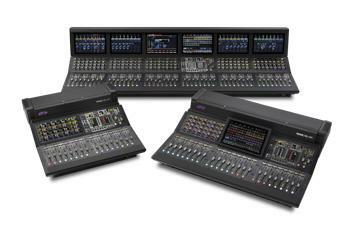 Avid’s live sound experts will be on hand to show you the new system and how it will benefit you. Get more flexibility than ever with three new control surfaces, one new engine, and two new I/O racks that you can mix and match with 100% software, hardware, and show file compatibility across all components. Plus, S6L delivers unmatched mixing efficiency and ease, so you can focus on what matters most — helping your artists deliver their best performance possible.